Createspace Independent Publishing Platform, 9781547268146, 64pp. 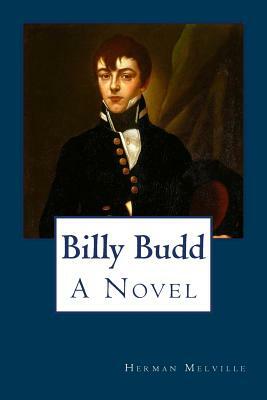 Billy Budd, Sailor is the final novel by American writer Herman Melville, first published posthumously in London in 1924 as edited by Raymond M. Weaver, a professor at Columbia University. Other versions were later published. Melville had begun writing the original work in November 1888, but left it unfinished at his death in 1891. Acclaimed by British critics as a masterpiece when published in London, it quickly took its place as a classic literary work in the United States. The novella was discovered in manuscript form in 1919 by Weaver, who was studying Melville's papers as his first biographer. Melville's widow had begun to edit the manuscript, but had not been able to decide her husband's intentions at several key points or even to see his intended title. Poor transcription and misinterpretation of Melville's notes marred the first published versions of the text. After several years of study, Harrison Hayford and Merton M. Sealts, Jr. published what is now considered the best transcription and critical reading text in 1962. The novella was adapted as a stage play in 1951 and produced on Broadway, where it won the Donaldson Awards and Outer Critics Circle Awards for best play. Benjamin Britten adapted it as an opera by the same name, first performed in December 1951. The play was adapted into a film in 1962, produced, directed, co-written, and starring Peter Ustinov with Terence Stamp receiving an Academy Award nomination in his film debut.